Raised in the mountainous Cuenca region, Ecuador's famed cultural and artistic center, Julio began his craftsman’s education working in his family business, using wood-fired ovens to bake locally-mined clay which had been hand-formed into the traditional terracotta roofing tiles found throughout the country. 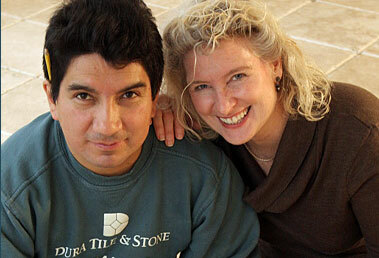 In over a decade of work since he emigrated to the U.S., Julio has mastered the modern technologies surrounding today's most demanding tile and stonework techniques, while never forgetting the dedication to his craft first learned in Ecuador. After retiring from a 25-year career in affordable housing development and management, Judy joined Julio in forming Dura Tile & Stone. Her extensive technical expertise and long experience in project management for the building trades ensures that Judy speaks the language and understands the needs of contractors and homeowners alike. In addition to handling the myriad day-to-day details of running the business, Judy provides a calm, knowledgeable and reassuring presence that helps minimize the disruptions to our clients' lives, homes and businesses. WITH DURA TILE & STONE . . . YOU'RE SET FOR LIFE! Contact us at: (914) 944 4470 or by email.